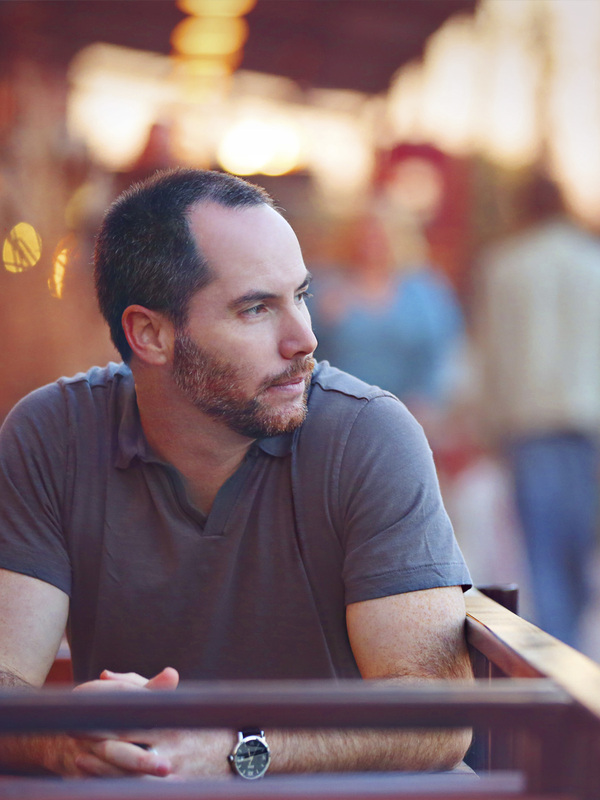 This is the second post of an eight part series about the Active Directory Data Access Layer. As each post builds on the previous it may be helpful to review older posts prior to reading this one. If you would like to download a working copy of the AD DAL please refer to the download on the Code Share page. A bitwise operator value that specifies the connection options. In the example the code specifies to connect to the root ou in the LarrySteinle.local domain with the user id, “LSteinle”, using the specified password. The connection is to be a secure connection with delegation. To better understand all the options that the connection string should support let’s review each argument for the DirectoryEntry instantiation method. In the post, AD Path Helper, we learned that an Active Directory path consists of a provider, host name, port number and distinguished name. The distinguished name must have at a minimum the domain component (DC=LarrySteinle,DC=local). Ads which can be used to identify the available providers. The host name can be an IP Address (not recommended), a domain name (recommended) or a domain controller name. When providing a domain name or domain controller name use a fully qualified name. The host name is optional as the system can extrapolate the domain name from the distinguished name. However, I would recommend the use of a host name in the path for the connection anyway. Check with your administrator to verify if the default port numbers were used or if they were modified. If the default port numbers are used then there is no need to provide the value. But if the port number was changed from the default it must be provided as part of the ldap path in order to establish a connection with the Active Directory domain. The distinguished name is a collection of relative distinguished names (rdn’s) separated by a comma. Our connection string class will need to support a provider, user id, password, port number and host name so that a connection can be established. The connection string will also need to support all the authentication type options to ensure that the correct type of connection is established with the Active Directory domain. The user id and password are both optional arguments. When missing the security context of the current authenticated user is assumed. There are numerous connection type options available. Some connection type options require another option to be enabled while others are independent settings. Anonymous Indicates that no security binding is required. This should never be used. Security binding is required with LDAP and GC providers. ReadOnlyServer Establishes a read-only connection. This attribute is ignored when connecting to Active Directory. Secure Specifies that the system must bind with Windows Security Support Provider Interface (SSPI) ensuring that the user id and password are stored in an encrypted format. May be used with the Sealing, Signing, Delegation, FastBind and ServerBind flags. Sealing Ensures that all traffic is encrypted. Must be used with the Secure option. Not supported with all protocols. The Sealing flag is supported with Kerberos and NTLM on Windows Server 2005 and greater. Signing Ensures that the traffic is not tampered or altered. Must be used with the Secure option. Delegation Identifies that the security context from another network may be used. Must be used with the Secure option. SecureSocketsLayer Specifies that SSL/TLS protocol will be used to bind to the domain. May be used with Secure, Delegation, FastBind and ServerBind flags. May not be used with the Sealing and Signing flags. ServerBind Specifies that the domain controller will be supplied. FastBind Disables querying the system for the object class. Increases efficiency as only one read is required per object but does limit the capabilities of the system. Use with caution. Now that we have identified all the options and flags required to connect to Active Directory lets discuss the Connection String itself. The AdConnectionStringBuilder was introduced with VS.Net 2008 (CLR 2.0). This base class simplifies managing connection strings. An example of the AdConnectionStringBuilder in use can be found with the SqlConnectionStringBuilder in the System.Data.SQLClients namespace. The AdConnectionStringBuilder class is extremely simple to implement. Simply assign the value to the base ConnectionString property. The connection string is parsed into a dictionary where each key and value can be accessed using the Item, Keys and Values properties. The connection string can easily be modified using the Add and Remove methods. Now that we have established what information needs to be tracked in the connection string we can create our AdConnectionStringBuilder class.
''' connection strings used by the AdConnectionString class.
''' Instantiates a new instance of the AdConnectionStringBuilder class.
''' Gets a value for the .Net Data Provider.
''' Gets the name of the provider for the AdConnectionStringBuilder.
''' WinNT: Windows NT 4 Domain Controllers and local SAM databases.
''' NWCOMPAT: Older Novell Services.
''' Get an instance of the root path.
''' Get an instance of the DomainContext domain components (DC).
''' The name of the domain to query for the domain controller.
''' A fully-qualified domain controller name.
''' Gets the domain name for the current context that the computer is running.
''' Gets or sets the name of the domain to connect.
''' Returns the domain name if available otherwise returns the default domain name.
''' Gets or sets the name of the specific domain controller to connect.
''' controller for the specified domain name.
''' specifying a domain controller. 'lookup the default domain controller and pass it in.
''' Gets or sets the port number to connect.
''' Returns the default port number for LDAP and GC providers.
''' not been provided a negative value is returned.
''' Gets or sets the name of the user account to use for security context.
''' Gets or sets the password for the user account to use for security context.
''' Gets or sets the connection string authentication type options.
''' Gets or sets a value that indicates that no security binding is required.
''' Avoid using as Active Directory permissions make the option pretty useless.
''' from another network may be used.
''' Must be used with the Secure flag.
''' Get a value indicating that a secure socket is required.
''' Gets or sets a value that disables querying for the object class.
''' Increases performance by restricting queries to one operation instead of two.
''' Use with caution as Fast Binding limits the capabilities of the system.
''' Gets or sets a value that establishes a read-only connection.
''' Currently has no impact on Microsoft AD.
''' Gets or sets a value encrypting secure trafic.
''' with Kerberos and NTLM on Windows Server 2005 and greater.
''' with both explicit credentials and the current windows security context.
''' with use with Signing.
''' May be used with Secure flag but not Sealing or Signing flags.
''' Gets or sets a value that indicates that an exact server bind is being provided.
''' Gets or sets a value indicating to sign secure traffic to determine if the data has been tampered with.
''' Requires a Secure connection. 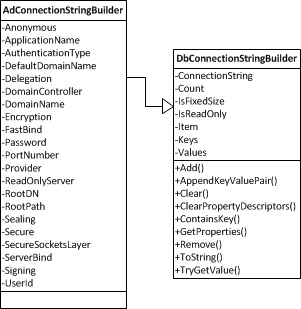 In today’s post we reviewed how to connect to Active Directory using the DirectoryEntry object, what the various requirements are to connect to Active Directory and created our first, custom Connection String Builder helper class. It is very simple. There is absolutely no need to know HTML. However, it never hurts to know more than necessary!